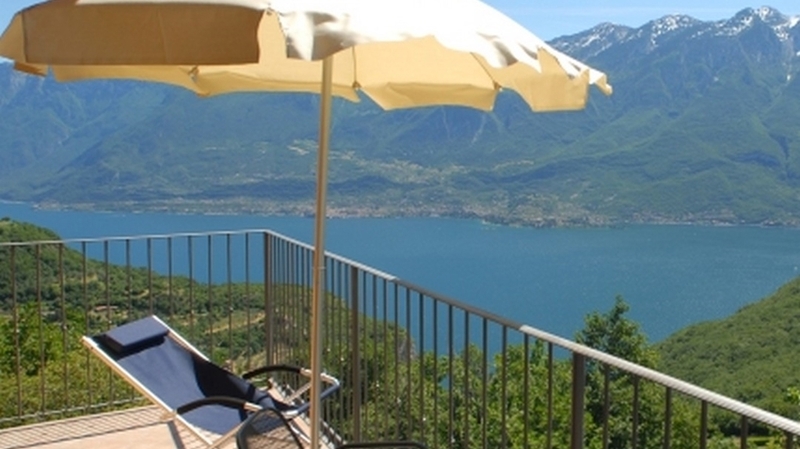 Are you searching for a holiday destination at Lake Garda, which is far away from the usual tourist centres, a place where you can relax and enjoy the authentic part of Lake Garda? 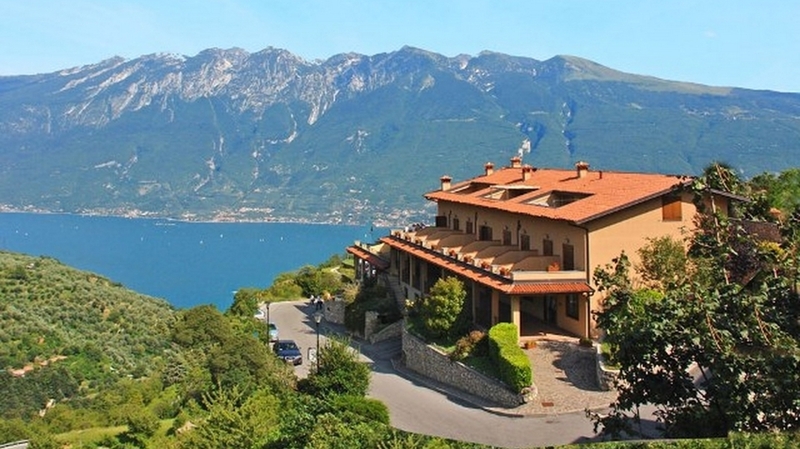 Then you are in Tignale on the western shore of Lake Garda exactly at the right place! Our Residence Garden is located in this wonderful place, in the middle of nature park “Alto Garda Bresciano”, an oasis of quiet and relaxation. 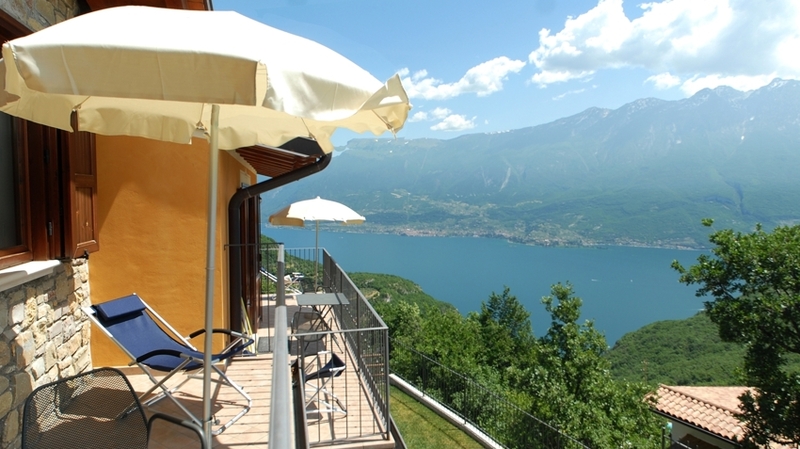 Furthermore you enjoy a dreamlike view of Lake Garda from the panoramic plateau of Tignale! 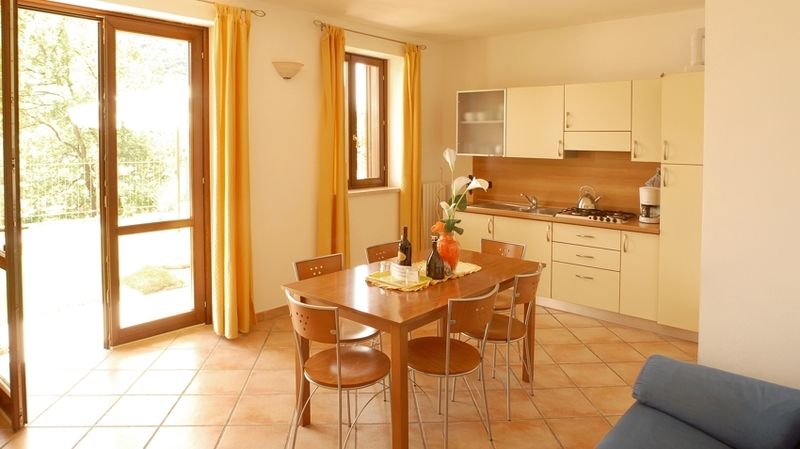 Residence Garden at Lake Garda joins traditional elements like wood or natural stone walls with modern architecture. 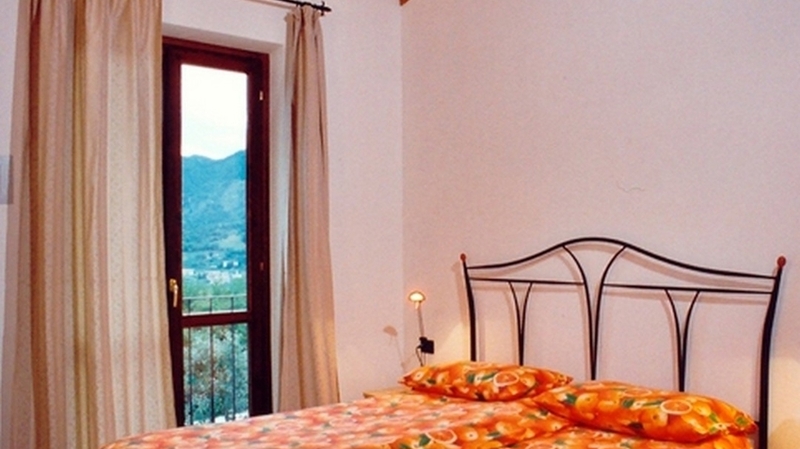 Our house offers its guests twelve comfortable holiday apartments for 2-6 persons. Six of them are located on the ground floor and has a garden, the remaining are on the first floor and offer a balcony. 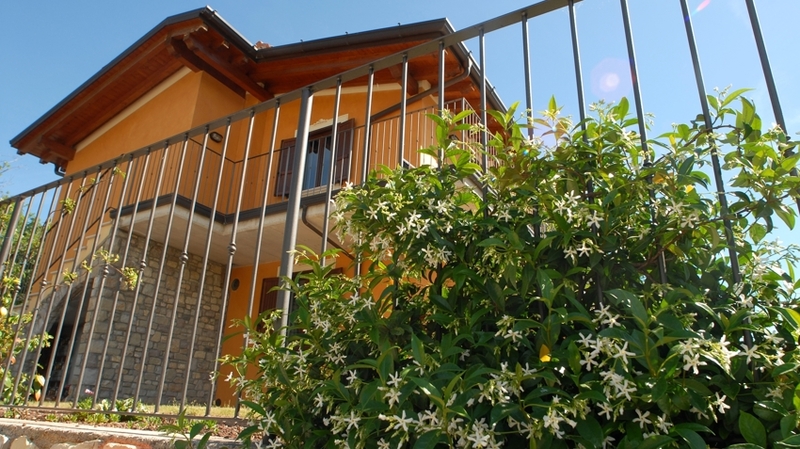 Residence Garden has also a big lawn for sunbathing and an outdoor swimming pool, from where you enjoy a wonderful outlook over Lake Garda, on Mt. 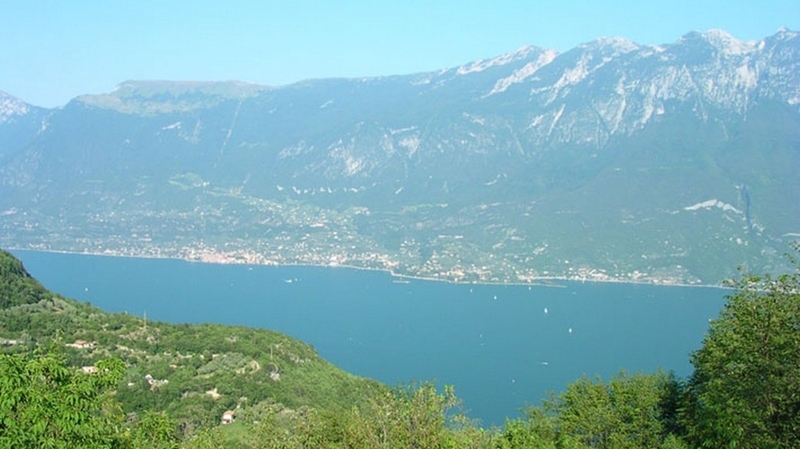 Monte Baldo and Malcesine on the opposite lake shore. You can find numerous shops, restaurants and cafés nearby the holiday flats. 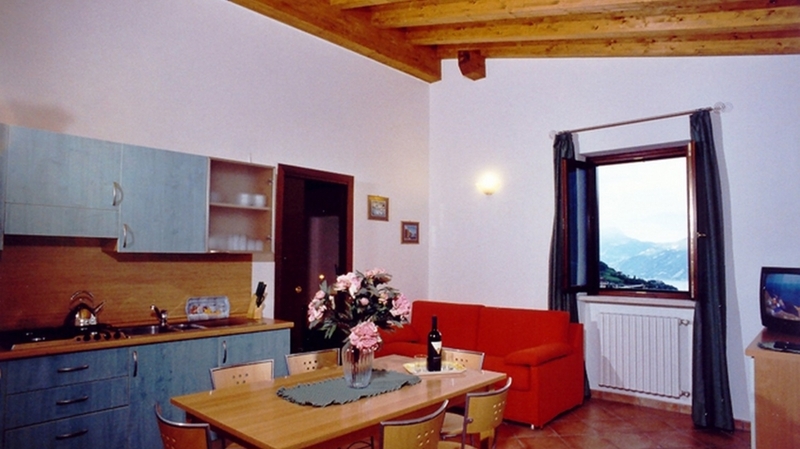 We recommend you the restaurant Osteria Miniera, where you can enjoy typical local dishes. 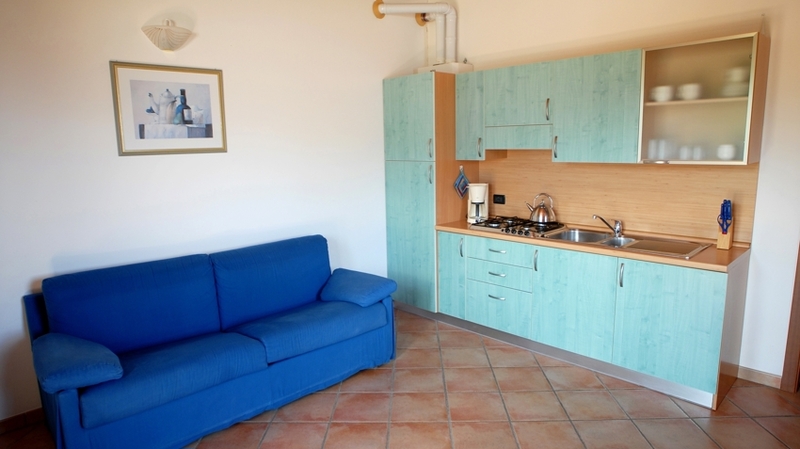 Residence Garden in Tignale is the right accommodation for activity holiday-makers, because here you can find countless possibilities for wonderful hikes and bicycle tours in the beautiful natural landscape. The nature park “Alto Garda Bresciano“ offers furthermore an interesting museum, which is located nearby our house. We recommend cultural interested guests to visit the museum “Vittoriale degli Itlaini” or the “Limonaia Prà de la Fam” (old greenhouse for lemons, which is typical for this area), which are located not far away. In the kitchen is a gas cooker, refrigerator, freezer, italian and german coffee-maker, keffle and the useful equipment for your holiday. There isn't a dishwasher, oven and toaster. News 2018: Microwave. In the living room is a SAT TV and a sofa bed for two people. In the bedroom is a double bed, with an unique mattress long 2,00m and large 1,80m, a safe, a spacious wardrobe and two night tables. Bathroom with shower and bidet; There isn't a hair dryer. In the kitchen is a gas cooker, refrigerator, freezer, italian and german coffee-maker, keffle and the useful equipment for your holiday. There isn't a dishwasher, oven and toaster. News 2018: Microwave. In the living room is a SAT TV and a sofa bed for two people. In the bedroom is a double bed, with an unique mattress long 2,00m and large 1,80m, a safe, a spacious wardrobe and two night tables. Bathroom with shower and bidet; There isn't a hair dryer. In the small bedroom are two bunk beds and a big wardrobe.